Protect your network, save time on HIPAA compliance, and maintain your reputation. Data security and HIPAA compliance are more important than ever for the healthcare sector. From large health networks to small-town medical practices, protected health information (PHI) remains a high-value target for attackers. Health organizations were hit hard in 2017—the healthcare industry experienced 23.7% of total data breaches that year. This trend of cyber-attacks and data theft in healthcare seems like it’s here to stay, but complying with HIPAA requirements will go a long way to protect your system from attackers. Download our 2018 Guide to HIPAA Compliance. If you’re a HIPAA manager, IT Director, or CISO responsible for network-wide HIPAA compliance at your organization, you know that the vulnerabilities of individual members can affect your network as a whole. But, overseeing your network while managing the compliance of each member often amounts to a series of messy, tedious tasks—especially if your main tracking tools are spreadsheets and emails. 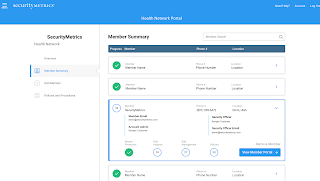 We designed the SecurityMetrics Health Network Portal to be an efficient, organizational portal with tools that facilitate HIPAA management, monitoring, reporting, and tracking. No spreadsheets needed. Plus, HIPAA communications and documentation can be kept on one central platform. 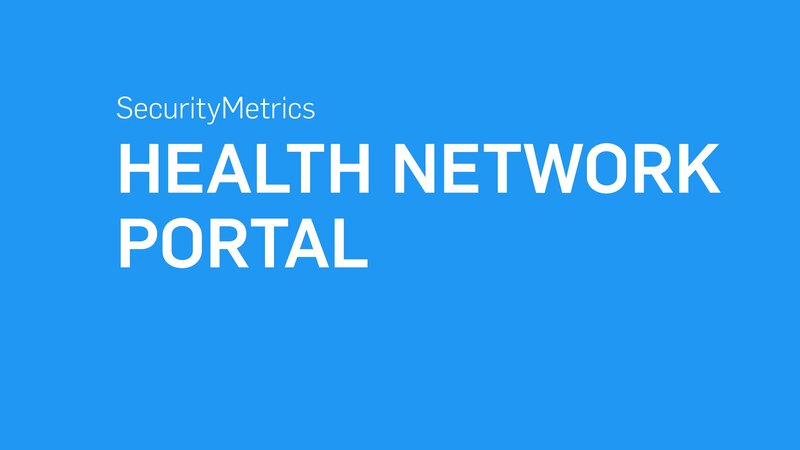 Learn more about the SecurityMetrics Health Network Portal here. The network HIPAA compliance journey begins at the overview dashboard. From this main screen, you can see compliance progress across your network, assign tasks, view scan results and risk summaries, and prepare compliance reports for C-level executives or auditors. The overall security of your network is made up of many members’ tasks and efforts. Our risk summary tool calculates a risk level based on the combined data of every member in your network. This lets you see where you’re at and helps determine what your HIPAA goals might be. Covered entities must maintain a signed up-to-date business associate agreement (BAA) for each business associate they work with. 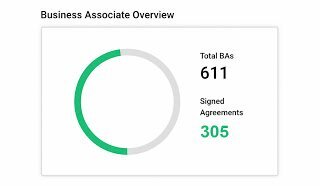 Managing these contracts and tracking down business associates is made simple with the business associate overview tool.  You can see at a glance how many business associates you work with and pinpoint which ones have yet to sign BAAs. 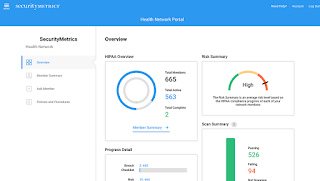 Wherever you are in your HIPAA network compliance journey, the Health Network Portal is an everyday, easy-to-use solution that provides visibility and multi-level views for busy HIPAA managers and compliance officers. The Health Network Portal guides network-wide compliance efforts and directs attention to potential security gaps, weak spots, and vulnerabilities, which otherwise would have been missed. It’s intended to not only for daily HIPAA management but also to provide reporting resources for meetings, audits, and documentation purposes. Think the Health Network Portal might be a good fit for your organization? Speak to a specialist or request a quote for your network here.